Sacha Inchi Raw Super Seeds are a protein-rich snack its known as 'Inca Inchi Seed' or 'Inca Peanut Nuts.’ Sacha Inchi seeds are roasted then gently salted for providing the perfect taste and nutrition. The natural Sacha Inchi seeds are inherited full of Omega 3 fatty acids, essential amino blends and with many nutritive values. 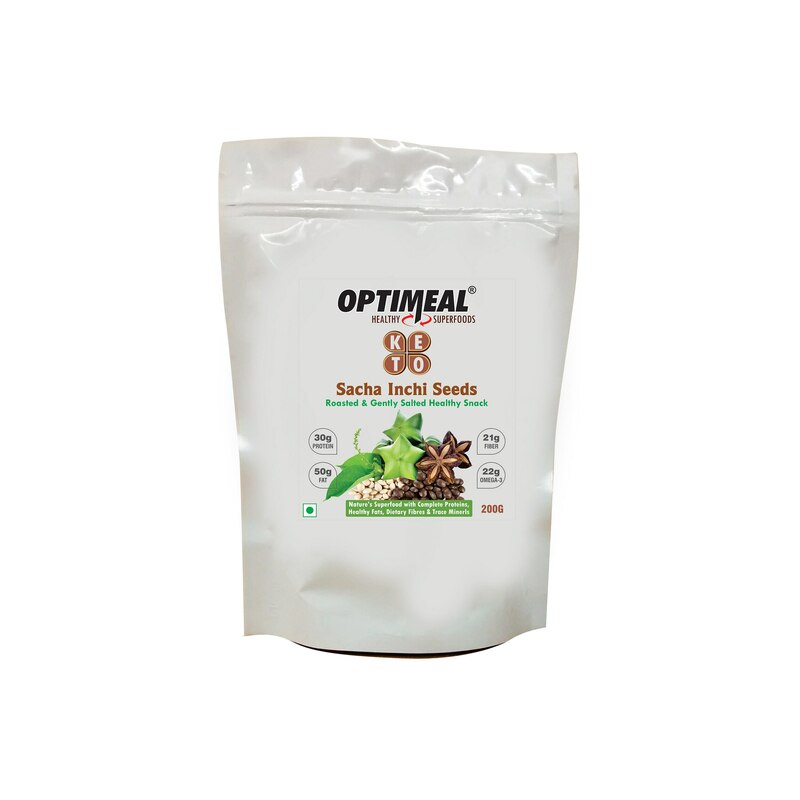 Moreover this pack is an overall healthy snack and the best for taste buds and hunger. Usage: Sacha Inchi Seeds can be consumed as a satisfying snack or as a nutrient dense addition to salads, shakes, smoothie or as a replacement for conventional nuts. Storage: Store in a cool dry place or refrigerate for maximum shelf-life and reseal pouch after use. Health Benefits of Sacha Inchi Seeds : Convinces hunger needs. Induces Brain Function. Controls diabetes & cholesterol high levels. Best for digestive problems. Regulates heart health. Customizes proper immune function. Tags : Inca peanuts, Inca nuts, Sacha inchi seeds, omega 3, high protein, Plukenetia volubilis, sacha inchi seeds manufacturers, sacha inchi seeds dealers, sacha inchi seeds sellers, sacha inchi seeds exporters, diabetes control, cholestrol control, brain fuction, heart health, good digestion, immunity.